Join us for an evening to celebrate the legacy of Sophiatown. Come shake your booty in your ‘50s best to live music from the swing era by The Pebble Shakers as they pay tribute to the likes of Miriam Makeba, The Alexandra All Star Band and The Manhattan Brothers. Dinner (pre-orders only), nibbles, dessert and a cash bar will be available on the night. Many are familiar with the big band swing music of the American Jazz Age and Harlem Renaissance – music from such jazz greats as Count Basie, Ella Fitzgerald and Duke Ellington are familiar to even the most casual listeners. However, what many may not know is that South Africa experienced its own swing era from the 1930s-1950s: this was a launch pad for jazz legends Hugh Masekela, Miriam Makeba, and Dolly Rathebe among others. 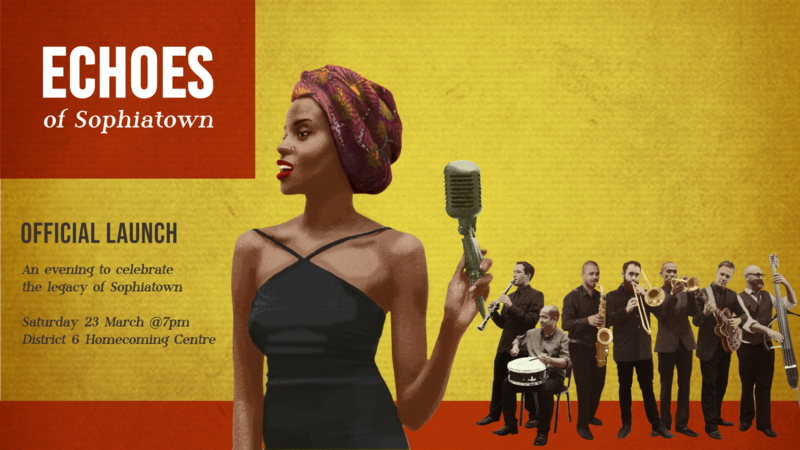 Named after one of the cultural hubs of this era, the Echoes of Sophiatown project aims to pay tribute to the original artists and celebrate their legacy by uncovering and bringing their music and stories to life. A great deal of South African swing music, born in the townships surrounding Johannesburg and Cape Town, was lost, buried, or actively censored under apartheid. Cape Town Swing has identified 30 original songs from various South African artists featuring an array of local instruments, languages, and rhythms, and has raised the funds to transcribe these so they can be played live once more. In addition, 12 of the songs will be recorded with the help of The Pebble Shakers, a group of experienced local musicians. Cape Town Swing will debut these songs at Mother City Hop, their annual international swing dance festival, in March 2019.